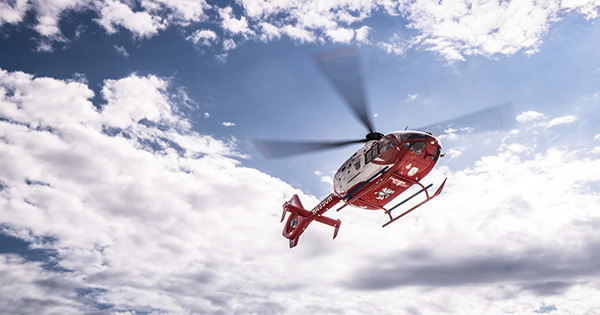 ”We decided to create another regional base to cut response times for people in north- central Wisconsin,” said Frank Erdman, manager of critical care transport for UW Health. With the addition of the Portage base, Med Flight now will have three bases. Med Flight also operates a regional base at the Iowa County Airport to respond to medical emergencies in south-western Wisconsin. A third helicopter is stationed at University Hospital, a Level I trauma center, one of only two in Wisconsin. Response times will be reduced by 20 minutes with the Portage helicopter. In addition to quicker response times, physicians and nurses will get to patients with life-threatening trauma and medical conditions faster. Med Flight is among only a handful of medical helicopter programs in the country that provide a physician on every flight. The Portage base is scheduled to begin operations in Summer, 2019.